If you are familiar with the Callaway brand, then you know that they excel when it comes to quality products and structural integrity. With years in the golfing community as one of the leading experts in quality and construction, this brand has designed hundreds of golf clubs known to date and it is our attempt to share the top ten best, with you today. Choosing the right set of golf clubs for your ideal set will take years, knowledge, preparation, and a bit of spending cash. Especially, when it comes to this manufacturer. The reason being is that a common set of golf clubs has fourteen different clubs all ranging from irons to woods, drivers, hybrids, and of course, the putter. Whether you are a fan of Big Bertha or Mack Daddy, this brand excels in creating some of the most dynamic and intriguing golf clubs of today. Trusted brand with quality service. Designed for efficiency and effortlessness. The grip has been known to not be installed on-center. May not work with every stroke. This brand is commonly known among the tour professionals for their quality designs and expert craftsmanship. As the first club on this list, this is a must-have in any stand bag on any course. Let’s talk about the many benefits of the Callaway Odyssey Got Pro 2.9 Putter and two features that individuals can expect from this quality designed putter. One aspect that makes this particular even better than before is the insert design. In fact, the insert is known as the #1 on the PGA tour and it is highly admired by many tour professionals. The reason being is that the item gets a better consistent sound and overall feel. Alongside this, the performance quality is one of the best and the striking surface catches the eye. 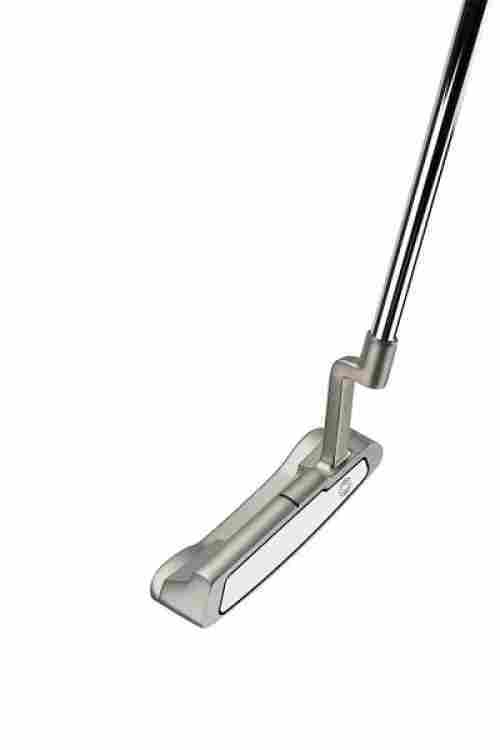 As we discuss cost and value for this product, we can say that this is one of the best-designed putters an individual can buy today. This brand is known for their expertise and quality products, which never fail as far as value. With close to a five-star rating, the only downside is that this one putter alone can cost about ½ the price of a starter set of clubs. In any case, this is the perfect item for the tour professional. Hot List golf medial winner. 360 Face Cup next generation design. Blend of speed and forgiveness for a better shot. More distance and control on impact. Individuals have mentioned that it may be too light at times. The design is not for everyone. Everybody knows the importance of having the proper iron on your set of golf clubs. However, not many people know the importance of having this particular iron on their set of golf clubs. We are about to share two important reasons with you. 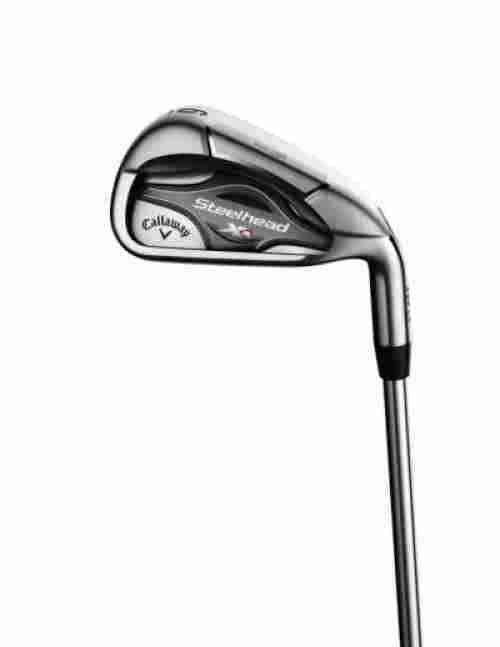 Let’s talk and get to know the Callaway Steelhead XR Individual Iron and two quality features of this particular product. When it comes to modern innovations that shake the golf industry, this brand is known for their quality expertise and all around expert value. This item is known for its innovative technology design. It boasts the 360 Face Cup design. This particular design ensures better ball speed on both the center of the head and on mis-hits. This results in more distance for the golf ball when traveling and better accuracy towards the green. There are so many technical terms when it comes to this product that we cannot keep up, but this is one of the most important. The Hallow Bore-Thru design is intended to save weight and remove weight from specific areas of the club and repositioned in the head. What is the result? The overall club allows for better forgiveness and an easier launch upon impact, ensuring that the ball gathers speed and traction. So, what is the particular cost for this item? Well, this club iron is known for its overall value and aesthetic design, which is expertly crafted with different technologies to ensure better performance and all-around impact. With that in mind, there is a large selection of different styles to choose from. For example, an individual can choose from graphite to steel shafts and different styles of flex’s ranging from ladies to regular and even senior. There are also configurations from 3-9 and LW and PW. So, the options are endless. But, if you want them all you better save up! Great backspin and bump and run shots. The grip can feel different than most. The Mack Daddy has gotten a lot of praise over the years, not just for the name but for the overall value of the item. This particular product comes with a large variety of combinations and it is expertly crafted to deliver one of the best wedge experience in golfing for both amateur and seasoned golfers. 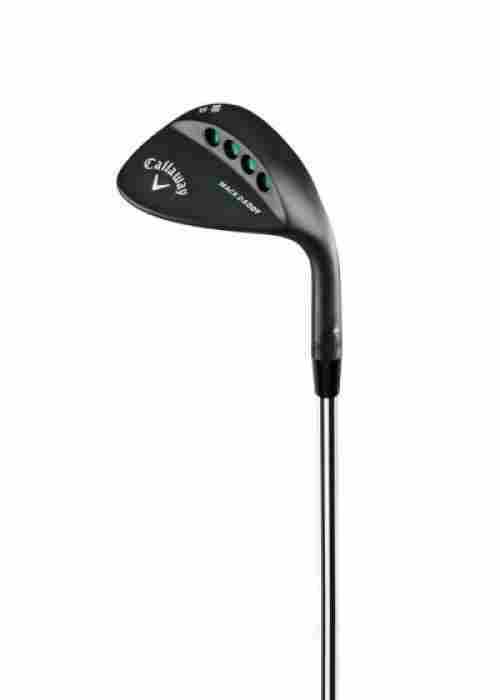 This is the Callaway Mack Daddy 3 Chrome S-Grind Wedge and here are two unique features of this product. This particular product boasts the S-grind design, which is intended for quality clearance and a wide range of conditions. Whether you’re are a soft, firm or normal golfer, the S-Grind design ensures a quality shot every time with any style of golf club. Alongside this, this design is expertly crafted for more forgiveness when hitting the ball and mastering impact. The particular design of this product ensures a smoother spin transition when in play. The reason being is that the MD3 milled line has a progressive groove design which ensures better spin and an equivalent blend between irons to wedges. Alongside this, the 3-grove package is milled into the face to ensure that each spin is a progressive and quality spin upon impact design. To discuss cost and value for this product, we believe that this may be one of the best-designed wedges in the industry for individuals that want a sweet spot design alongside quality shots. With that, the loft comes in four varying degrees, 52, 56, 58, and 60 and it is also available in both hand orientations. Alongside this, the shaft material is made of steel and the flex is stiff, offering a firm quality experience for any individual looking to enhance their wedge swing. Graphite shaft is durable but lightweight. Larger head for more forgiveness. Overall greater impact with a large sweet spot. Can cost as much as a starter set of clubs. Ah, the fairway wood! One of the best and most innovative club designs in the industry. Once an unknown piece of club equipment, now the Fairway Wood is one of the most touted and necessary items to have in your stand bag. 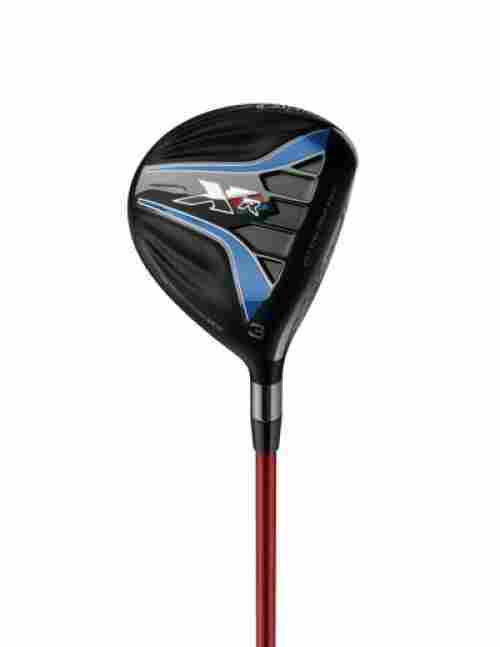 However, this brand excels at delivering a quality fairway wood that is expertly crafted for a bigger and better shot. This is the Callaway Men’s XR 16 Fairway Wood and here are two features of this unique and innovative item. What are the benefits of a lightweight crown design and bigger head shape? Overall, this helps the wood gain better traction on impact and a forgiving and easier hit due to the larger head. However, the true benefits are due to the highest MOI design with a low center of gravity which ensures a higher ball speed and larger sweet spot, making this product, one of the best designed for golfers wanting to master tempo. One particular aspect that makes this product a worthy consideration is the aerodynamics of the item. The head shape is textured to be smoother and more aerodynamic which ensures less wind traction and better speed. With this, an individual can accompany their perfect swing alongside maximum swing to ensure the best ball speed. By now, you may have gathered that this item is made primarily for speed! As one of the best fairway woods to consider, this brand has expertly crafted a design that ensures more forgiveness alongside speed. The larger head is for the perfect shot, the aerodynamics is for the ideal speedy ball. With three degrees to choose from, three flex’s and a quality graphite shaft, which makes the product more dynamic and easier to carry and hold, we believe that this may be one of the best golf club designs of today when it comes to a fairway wood. The cost does reflect the quality! Made with leading face cup technology. Progressive lengths and loft design. Hit quality shots more consistently. Easier to launch due to the Center of Gravity design. Individuals often like the graphite shaft better than steel. Steel shaft can be quite heavy. Known as the #1 iron in the world, this individual iron is perfectly crafted for individuals that want to achieve great lengths and better results. 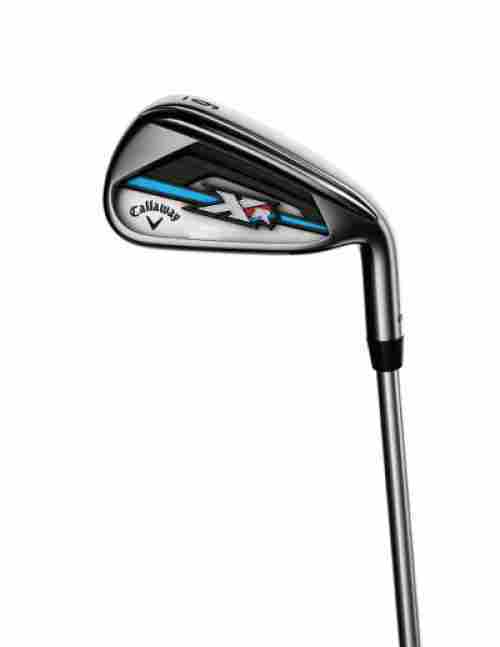 With a large selection of options available, we want to share with our audience the Callaway Men’s XR OS Individual Iron, which is expertly crafted for quality appearance and even better impact shots. Here are two features to consider about this product. Part of what makes this product as high quality as it is that it has more forgiveness and more benefits when it comes to impact location. Meaning, the wider soles allow for individuals to receive the same or similar results no matter the location or ball they are using. With this, an individual can hit better and more consistent shots in every turn. Another great aspect of this product is the progressive design. Meaning, this item has a progressive length and loft design to ensure that an individual hits the ball farther and better than before. The lost design allows for better distance. With this, it helps individuals develop quality tempo and speed accuracy to better measure their next results and their next swing. To discuss cost and value for this product, we believe that this is a quality iron made for individuals that want a farther and better quality shot. Alongside this, it has many different features alongside the two above that make it well worth. With three flex’s to choose from, two shaft materials such as graphite and steel, and a large configuration, an individual can choose the individual iron they so desire for their next perfect game. The price is also budget friendly and worth it, even for the amateur golfer. Easy explosion design allows to get out of bunkers easier. Solid contact with the ball for a more consistent distance control. High spin velocity design ensure fast-stopping shots. Individuals have mentioned mishits with this item. Somewhat less adaptable than most wedges. Let’s talk about another quality wedge design that ensures better explosion from greenside bunkers. If you want to ensure getting out of the bunker and want a better and more consistent shot, this is the wedge to get. 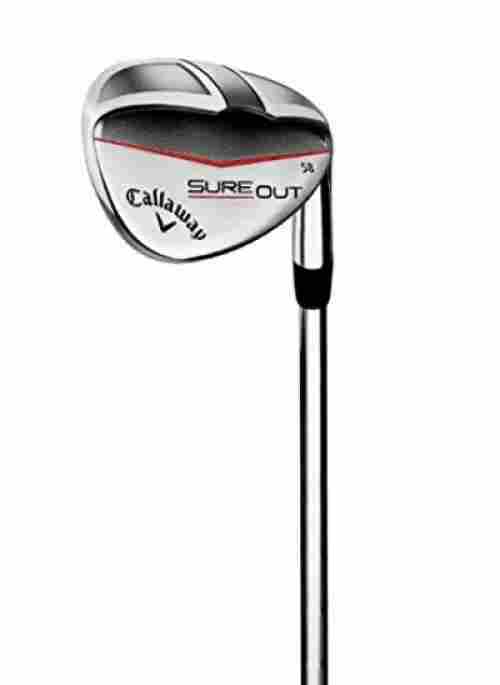 Let’s talk about the Callaway Golf 2017 Men’s Sureout Wedge and two features individuals can expect from this product. This brand has designed this specific wedge with one of the leading expert materials when it comes to shaft design. The shaft is more from a highly durable and compressed graphite material that ensures the best performance and lightweight benefits. With that, if you want a heavier shaft, it is recommended to use the steel shaft design. This particular item has a wider sole and a larger face design that promotes a better and more solid face-to-ball contact. With this level of craftmanship, this wedge allows individuals to receive a better quality measure as far as distance control when trying to get out of the sand. With that in mind, this wedge allows for soft-landing shots to be more successful and overall better value. To discuss cost and value for this product, we first want to say that the specific degree design may cost the item price to range. With that in mind, there are different shaft material options available, different degrees, and hand orientations. However, the value is still the same! Get out of the sand and get on the green with a more consistent quality shot every time. For measurable results, this is the product to get! Custom made product designed for excellency. A large selection of different shaft options. One of the top of the line drivers of today. Can cost as much as a full set of golf clubs and stand bag. Let’s go rogue with what may be one of the most prestigious and expertly crafted golf drivers in the industry. The Callaway Golf 2018 Men’s Rogue Driver is uniquely designed with innovative qualities that make it an expert selection for professional golfers. The 460cc shape boasts a larger address and footprint to ensure golfers get the perfect swing every single time. With increased durability, here are two features of this expertly designed driver. Have you ever heard of a Triaxial carbon crown? Well, it happens to be this brand’s innovative way of creating the most revolutionary designs known to date. The crown of this item is made with a carbon composite material that enhances the metalwood performance of the overall product. With that, the benefits are unprecedented. For example, the item is designed for better weight distribution as well as saving weight and investing it in areas where it matters the most. You’ve heard of the brand Boeing, right? Well, they have collaborated with this particular brand to develop the Speed Step technology design that is used in metal woods by this manufacturer. With Boeing, Callaway has redefined the geometry of the driver to ensure faster head speed and promote airflow. Why not combine one of the leading experts in aviation and the leading expert in golf and create something great? This is exactly what this product is! To discuss cost and value for this item, it is important to note that we are dealing with a whole type of prestigious category when it comes to this product. This driver is essentially custom made and tailored specifically with some of the most unique features and options. Even the shafts are specifically tailored for this product and will not be commonly seen anywhere else. With that, this item is for tour professionals and golfers that do not mind dropping a couple hundred on a driver. Get out of the trench easier. Better shape than the standard golf wedge. More forgiveness and better power where it matters most. Individuals have mentioned it takes time to adjust the loft. If you have ever wanted a specifically designed item by Phil Mickelson, this is the product for you. Boasting a beautiful matte finish, the Callaway Mack Daddy PM grind is one of the best golf clubs in the industry for a slew of reasons. With a specifically designed head and a quality and versatile construction, here are two features individuals can expect from this product. This product has been tested and tested endlessly by Phil while on tour. The ending result is that the brand has ground out the high toe shape from the Mack Daddy 2 and added the right contoured texture and material. With this, it allows individuals to take on any shot with confidence and versatility. In fact, you can get up and down from any bunker, any flop and any thick and unwanted moment. Get back in the game! This item boasts a very different wedge shape from the standard wedge design. Aspect number one of the different design is the grooves are designed to go all the way up to the Face, which allows for more forgiveness and surface area. Alongside this, the high toe moves alter the weight a bit higher, so it is much easier to hit shots from unwanted areas or in the deep rough. What can one expect to pay for this product? This specifically formulated item ensures a better quality swing when in unconventional and unwanted moments call for it. With a quality Mack Daddy design boasting a new appearance and better traction surface, we believe that Phil Mickelson and Callaway have designed one of the most simple, yet quality designs in the industry. With that, this item has many loft degrees available and a quality steel shaft that is well designed. Lastly, the price is not too shabby either, making it easy to take it home today. Jailbreak technology has more impact load. Promotes better ball speed and overall distance. Ultra-thin face and hyper speed cup technology. Internal standing wave position is high quality and promotes better launch. Large selection of configurations available. We have to say that we just love the Rogue series from this manufacturer. In fact, it may be one of our favorite golf clubs to date. This series is not expertly crafted for professionals, it is one of the stealthiest and most beautifully appealing and constructed golf clubs. For this one, we are focusing on the Callaway Golf 2018 Men’s Rogue Hybrid, which happens to blend what we love from the last Rogue in a new and distinctive way without the shocking price tag. This hybrid has what the brand calls “Internal Standing Wave.” This is a specifically formulated design that promotes an easy launch by positioning the CG lower. With that, an individual can locate the sweet spot with tremendous precision and easy and create a smoother and more transitional launch. With this, individuals can expect one of the best high quality and performing shots. Part of what makes this product as well designed as it is is the Jailbreak Technology which has made it’s way to the new hybrid edition. This technology made golfers fall in love with the Rogue series. This technology and precision crafted design as two steel vertical bars on the head of the club that ensure a better and more impactful load upon impact. With this, it promotes better ball speed and distance overall. 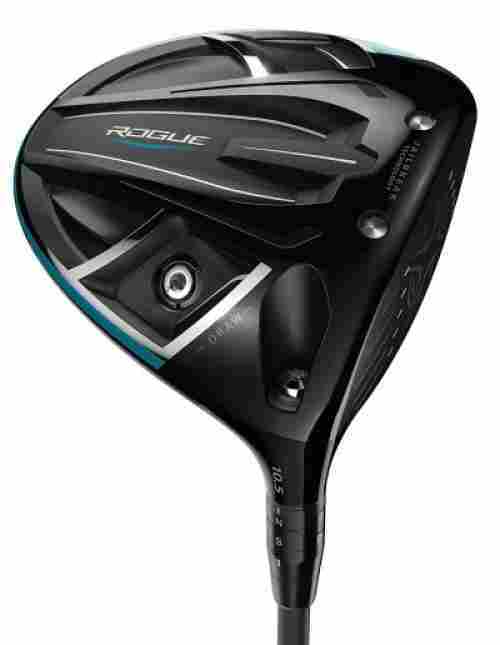 As we said in the intro, the price tag of this hybrid is nowhere near as shocking as the Rogue club from before. Although it is still a bit more pricey than one would expect a hybrid to be, it is important to keep in mind two things. One, this brand is known as one of the most prestigious quality brands in the golf community and two, this is one of the most innovative designs of any golf club to date. As the last driver on this list, we want to share another quality product from the Rogue series. 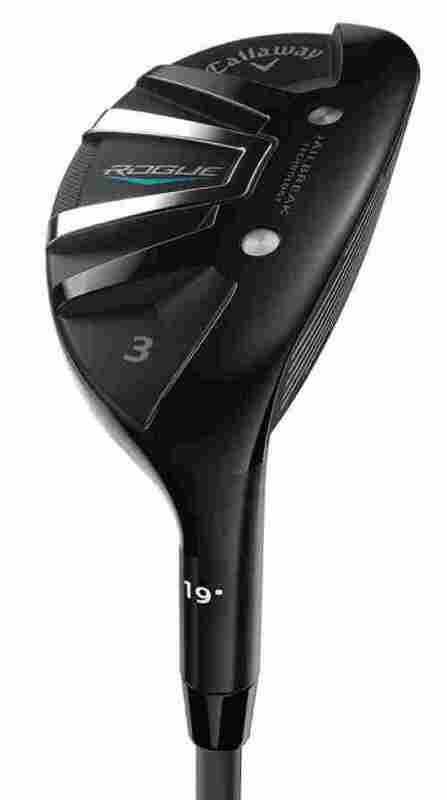 This is the Callaway Golf 2018 Men’s Rogue Draw Driver and here are two unique features individuals can expect from this quality product. What is different about the Rogue Driver and the Rogue Draw Driver? Well, it boasts a different loft design and different shaft material. With this, individuals will receive the same quality benefits from the both but with differentiating results from each item. We are thrilled about this particular series of golf clubs, not only because this brand has excelled at their craftsmanship but because they are designed with a slew of features we have never seen before. For example, the Jailbreak Effect which ensures better distance and ball speed or the Carbon Crown where the weight is shifted from one end of the spectrum to the other. The last feature is the partnership between this brand and Boeing, which resulted in one of the most aerodynamic designs in the industry. It goes without saying that the Rogue series is one of the most expensive series in the industry. However, it is the level of craftsmanship, quality, and design that ensures the best appearance alongside benefits. With different options available, we highly recommend this series if you want a quality shot and leading-edge experience. As we said, a common set of golf clubs has fourteen different clubs. Therefore, it was essential in our selection process to cover all of the bases. So, we focused on sharing what a common set of golf clubs are. A common set of clubs includes wedges, woods, irons, putter, driver, and now a hybrid. Therefore, we wanted to cover our bases by ensuring that we shared at least on an item from this brand. With that, it is important to note what each product is for. Irons are known for performance and distance while wedges, also known as specialty irons are for the moments that you need to save yourself in the game. A driver is known as one of the most common standard golf clubs with a larger head and woods are for distance and quality shots. Lastly, the putter is known for short-range contact with the ball. With this, it was our intention to cover all bases and different features. As our second criteria, we can say that the reviews and overall quality of the product came in handy. When selecting one of each style of club, we wanted to ensure we were sharing the best one and therefore, we focused on the above four-star reviews and products that were made for quality reassurance. With that, it is easy to tell that all of the clubs on this list are for intermediate or professional golfers and this brand is primarily known for producing such products. With that in mind, we can say that all of the items we have shared have been expertly crafted for quality and designed for individuals that want one of the best and long lasting material designs in the industry. Durability is something that is often on our lists. Durability is quite important when it comes to most products because you want something that is going to hold up through lots of wear and tear. After all you don't want to buy something especially something that isn't cheap, and have it break on you shortly after. The materials that the Callaway golf clubs are made of are high quality so they are durable and should last you through many rounds of golf as long as you're taking care of your golf clubs. The value is important because we wanted to include golf clubs that are priced accordingly to the quality of the golf club. There are some golf clubs that are more expensive on this list but you get what you pay for. The more pricier golf clubs are made with the best materials available, and are said to work with precision. We also wanted to make sure that the value of the golf clubs was reasonable and matched with quality and durability, so the price you're paying is fair. The grip on the golf clubs is rather important to consider when searching for a new club. You want to make sure your golf club has a good grip because you don't want the golf club to go flying farther than the golf ball now do we? You want to have a good grip so you can securely hold the golf club in place while you're swinging. If you want to find your average swing speed you want to take the average distance you hit the golf ball and divide that by 2.3. if your average distance is 210 yards you would take 210 divided by 2.3 and your average swing speed is 91.30 miles per hour. Determining what material you want your golf club's shaft to be depends on your swing. If you swing harder and faster you could go with a steel shaft because it is harder, heavier, and more durable so it will last longer. But, if you swing is slower or lighter you could go with a graphite shaft because it is lighter so it won't slow your swing speed down at all. 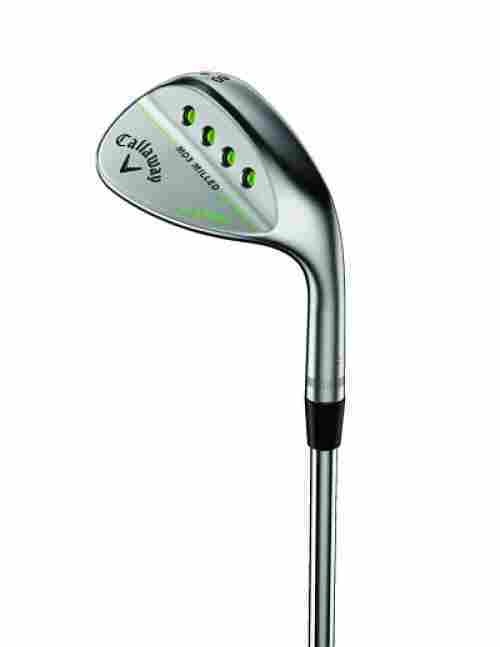 Callaway is a well known name in the golf industry located in North San Diego County and was named the biggest manufacturer by sales in golf equipment in 2009. An avid golfer himmself and former textile businessman Ely Callaway began Callaway golf products in the 1980s. He spent 15 years developing new golf clubs and designing lines like the Big Bertha line and purchased two other name brand companies over the years. In 1992 Callaway was becoming bigger and bigger when the Big Bertha was the most used golf club in the Senior, LPGA, and Hogan tours. The winners all used Callaway golf clubs to win those tournaments. They've built quite the reputation for themselves over the years and have continued to produce some of the finest golf clubs on the market. Professional golfers continue to use Callaway golf clubs for their tournaments. q: How do you clean a golf club? As one of the most frequently asked questions in the industry, cleaning a golf club can differ greatly. Specialty golf clubs such as the Rogue series need to be cleaned according to specific instructions from the brand. However, most irons are cleaned with a bristle brush that ensures proper cleaning of the groves of the club head. Other methods to clean the club include warm water and cleaning the head in a club cleaning solution that ensures the best cleaning properties. q: What is a better shaft, steel or graphite? When it comes to the shaft of a golf club, the material can range drastically and cause different effects. For example, steel shafts are primarily known to be heavier and cause more distance than other shafts. The upon-impact feeling is also heavier with the ball and it is designed to have a more impactful effect. However, graphite is designed for lightweight purposes and has many different effects as well such as better balance, tempo, and overall spin when swinging. As another important question to consider, some of these clubs do come with a headcover, which is a known addition to many of these brand’s products. Benefits of a head cover include better storage and less wear and tear on the golf club head when it is stored or on a transfer. q: What flex is the best to choose? The flex of a golf club will really determine how an individual performs with that particular club. This brand has different flex styles that range from flex to stiff to senior and even ladies. With that said, the flex to choose determines on your desired results with the golf club as well as your swing, tempo, and how lightweight or impactful you want the item to be.